We have a deep prayer. A prayer for the Soul of the World. That prayer starts with you and with me, doing our part in our inner landscape to create an environment within ourselves that is attuned to love, integrity, and the ability to see what actions are needed as our contribution to the Soul of the World unfolds moment to moment. We invite you for a night where we will journey into connection with our deeper workings through the gateway of the body. With evocative sounds and a mix of soul driven beats, we will utilize the dynamic practice of the 5Rhythms® as our foundation, move our way into connection to depth of soul and the spark of spirit that unifies us all, stepping into collective simple ritual and prayer. 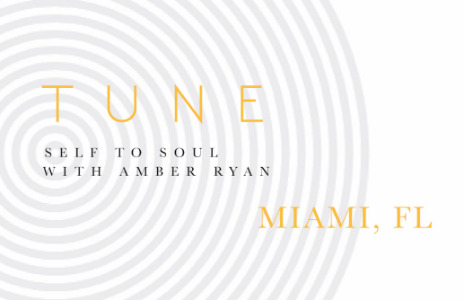 Amber Ryan is an embodiment architect and maestra soundsmith, with roots in dance, theatre, freeing the natural voice and transformational healing arts. She creates impeccable containers for soul work to take place through the landscape of the body. With crystal-line clarity, she is a powerfully present and an anchored listener, delivering masterful ritual and opening the field for each participant to listen to their own innate wisdom. Water bottle, towel, comfortable clothing.